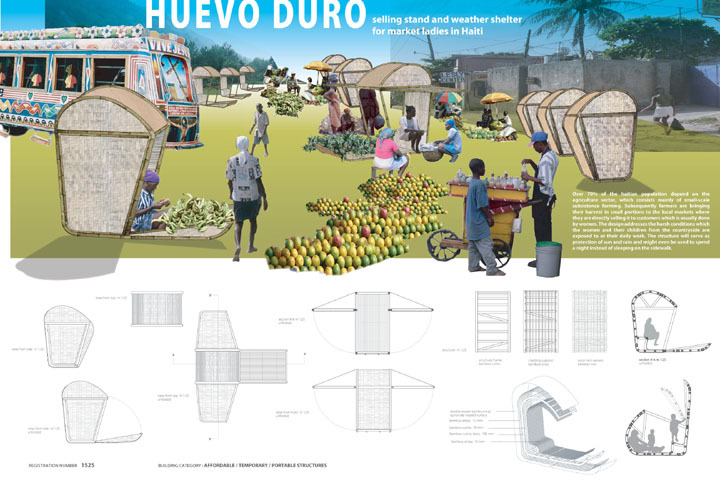 Designed for the market ladies of Haiti, the Huevo Duro is a portable market kiosk/sleeping shelter/storage space ideal for protection from the sun and providing a place to sleep at night. Bamboo was chosen over wood to prevent further deforestation on Haiti. The other materials used are rattan and bolts for the joinery.